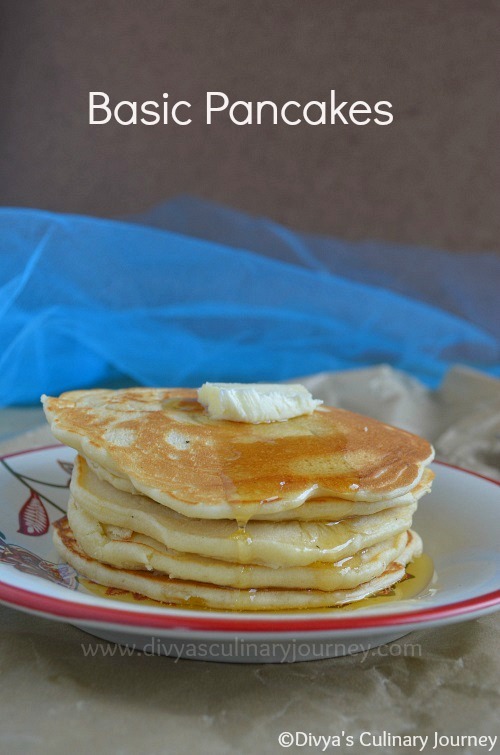 Nice and fluffy pancakes..they actually look porous like dosas..lol. Can we ever forget our cuisine ??? Nice pancakes. And the maple syrup would make them delicious. Nicely done, looks so fluffy.. 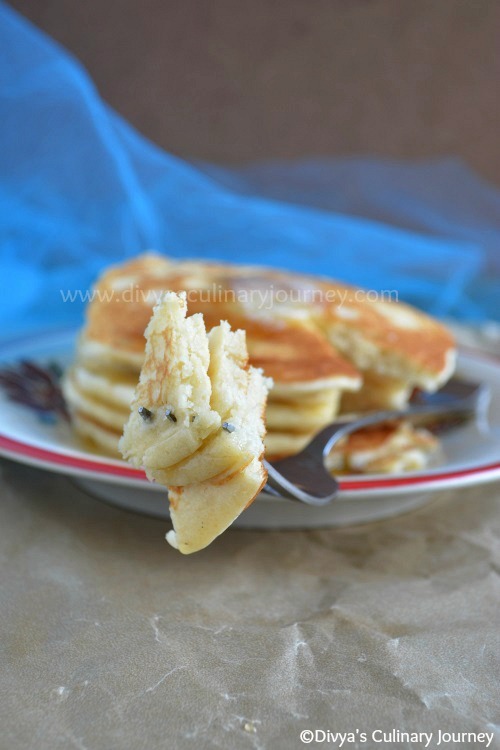 The pancakes looks so soft Divya..Yum! first time i made pancakes following ur recipe..n siri loved it ..thanks divya. 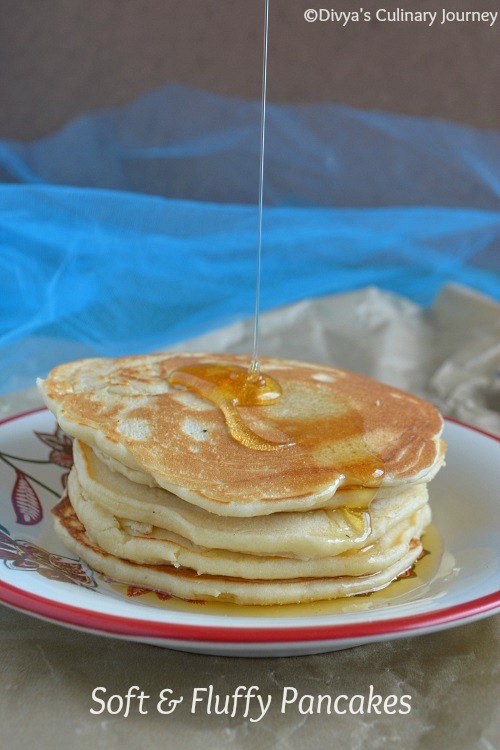 There is nothing like some good old fashioned pancakes. They look great!! yuuuummy, very perfectly made. Is that honey or any syrup Divya? They might be simple but loved by all. It is fluffy and really good.